Paul is the face of this AAMCO and represents his company with the utmost professionalism. 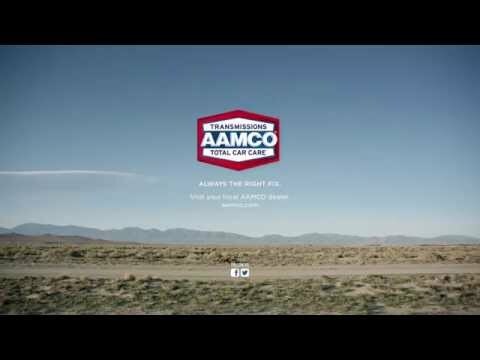 We have highly recommended this AAMCO to friends, family and co-workers. We took our 2009 Chrysler minivan to AAMCO with transmission issues. Paul at the center suggested running a computer diagnostic check on the transmission. After several tests he told me that the problem is most likely caused by a sensor, but because he does not believe in throwing parts at the car at the expense of the owner, he recommended that we take it to the dealership service center so they can run additional tests to be sure. When we asked Paul how much we owed, he said there was no charge. I explained that they spent time test driving the minivan and running the diagnostic tests on it, that we would expect to pay at least something. It’s very rare to find a company that goes above the call of duty and then is completely honest with what they found and even more impressively, they did it for free. So we take it to the Chrysler dealership, they have it for a day – charge us for the diagnostic tests, as well as to remove the transmission pan to inspect the gears and changed the transmission fluid for a total of $350 – problem still not fixed. Instead, they tell us that the transmission is completely gone (even though we drove it there) and we need a new transmission at a cost of $5,500.